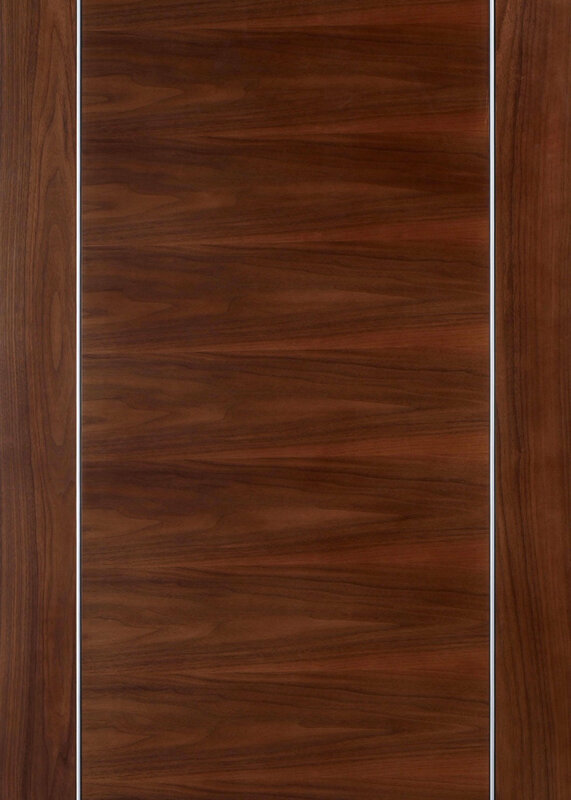 The Alcaraz Walnut internal & firecheck door is part of a range of doors that epitomises the utmost in contemporary chic and suburban sophistication, and will undoubtedly add the perfect finishing touch to any newly designed or refurbished room in a variety of residential, commercial and hotel settings and represent very good value for money. All Europa Flush Doors are supplied pre-finished and we are able to offer special sized doors in most of the models within the range, which include storey height sizes. Not every door can be made oversize, please call us to confirm their availability. NB – Delivery and availability is subject to confirmation at the time of enquiry – please ask us for a quote. The majority of our Internal and External doors are manufactured with engineered component parts. This ensures that the doors provide a solid feel, and the engineering brings an advantage in terms of strength and stability. All of our engineered doors are faced with veneers and matching lipping along their edges. These flush doors are designed for the modern look within a home as well as in a variety of commercial and hotel settings. The doors are pre-finished, factory lacquered and represent very good value for money. They can be ordered in larger sizes and can be made to storey height sizes, to order. Not every door can be made oversize, please call us to confirm their availability.